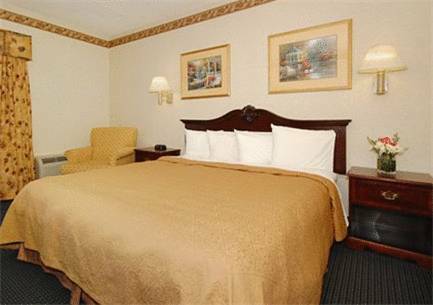 When you head to Massachusetts, get more for your money at the Quality Inn and Suites hotel in Worcester, MA. Our affordable, smoke-free hotel is located just minutes from College of the Holy Cross, Assumption College and the DCU Center. As a business traveler, you will appreciate our fitness center and guest laundry facilities, as well as free WiFi and free hot breakfast. Guestrooms include TVs, hair dryers, coffee makers, desks, irons and ironing boards. Your Q Bed features a comfortable, premium mattress and linens because we know how much you value your sleep. Also, earn rewards including free nights and gift cards with our Choice Privileges Rewards program. Must be 21 years or older with valid ID and credit card to check in. Pet accommodation: 10.00 USD per pet, per night. Pet limit: 1 pet per room, maximum of 70 pounds. For your geopolitical viewing pleasure. What the world would look like if it hadn't changed since 1935, and it was a map, and you were standing at its core, and it was made of glass.